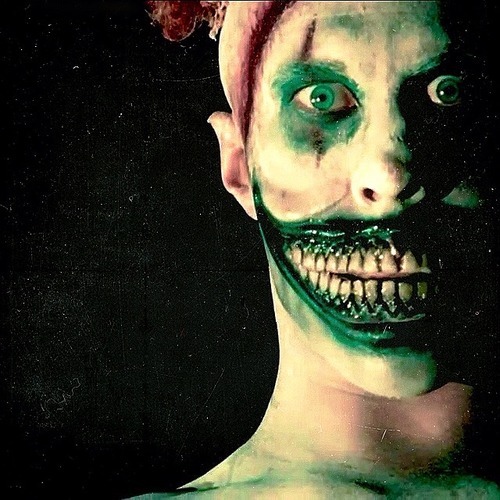 Just in time for Halloween, FX premiered the fourth series in the “American Horror Story” anthology. Each series, is a self-contained mini-series, with its own set of characters and story. “American Horror Story: Freak Show” is set in 1952 Jupiter, Florida, following one of the last freak shows as it struggles to stay afloat. The opening credits set the tone right away with creepy stop motion clown toys, dancing and juggling around traditional carnival attractions like Ferris wheels, carousals, knife throwers and sword swallowers. The same theme song that has been used for previous seasons has been reworked into an eerie music box-esque theme, hinting that this year’s show will be more whimsical in nature. But don’t worry die-hard AHS fans, the gritty ‘horror’ the title promises, is still there. There is a one scary-beyond-all-reason mute clown called Twisty stalking the residents of Jupiter, including the freak show, who will either make a balloon animal for you, or stab you with a pair of scissors. Anyone with coulrophobia, the fear of clowns, (cough, me, cough) will have night terrors of Twisty throughout the season. The filming style might be tense for newcomers to the show. There are a lot of weird, and uneasy camera angles that take some getting used to, and actually gave me a bit of a headache when I first watched it, but that’s part of the show. If it were filmed normally and straightforward, then the scene where Twisty stumbles on a teenage couple in a field, produces flowers for the girl, stabs the boyfriend in broad daylight and chases the girl, while definitely creepy, would have only read as cheesy. Only with this uneasy film style, does that scene look absolutely terrifying. Many AHS alum are back, playing new characters, including Evan Peters who plays Jimmy Darling, a carny who dresses like a cross between James Dean and Steve McQueen (YAY! ), Kathy Bates as his mother, the Bearded Lady and Sarah Paulson who plays conjoined twins Bette and Dot. Paulson should receive two Emmy’s for her performances. Dot is the uptight, anxious sister who just wants to live in peace, while Bette is soft-spoken, and wants to be free in the world. Twisty the Clown—available for birthdays and funerals. Also, the special effects are amazing. Bette and Dot look seamless when on screen together and for a brief second, you actually think to yourself, “Does Sarah Paulson have a twin sister?” Give the special effects team an Emmy too while we’re at it. And of course, there is Jessica Lange, who plays Elsa Mars, the German owner of the show, called Fräulein Elsa’s Cabinet of Curiosities. Elsa has dreams of being a star, and will do anything to protect her show, which she considers her last chance at fame, due to her age and own physical deformity. Lange is brilliant as the hard-as-a-rock, yet vulnerable Elsa, who anachronistically performs David Bowie’s “Life on Mars” in a German accent (yes, this actually happened and was not some fan-fiction you found in the deep recesses of the internet.) Which stylistically reminded me of “The Rocky Horror Picture Show,” and if it is any indication of what the rest of the season is, we are just getting started. “American Horror Story: Freak Show” airs Wednesday nights at 10 P.M.